Grameenphone aims to create opportunities for meaningful and safe digital participation for everyone. Fundamentally, keeping children safe online is about communication. It is therefore important to start the conversation about online risks. Basic ground rules like protecting passwords and personal information should become second nature. 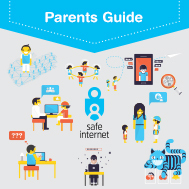 Parents also need to familiarize themselves with the online landscape, and know about the potential risks associated with each platform. To facilitate the process, a parents’ guide was developed in partnership with UNICEF and Telenor. Additionally, since 2014, we have been conducting outreach programs in schools nationwide to create awareness and understanding of a safer internet environment for children and sensitize parents, guardians and teachers. We reached out to more than 140,000 students in 600 schools across Bangladesh and directly engaged with 35,000 parents, teachers and guardians. 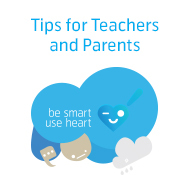 In 2018, Grameenphone, Telenor Group and UNICEF formally kicked off the Child Online Safety program in schools nationwide to reach out to another 400,000 children and 50,000 parents, guardians and teachers. Moreover, the scope of the Child Helpline Hotline (1098) service has been expanded to incorporate Child Online Safety issues, including counseling and other relevant support for the youth. Call 1098 to report any violence against children.